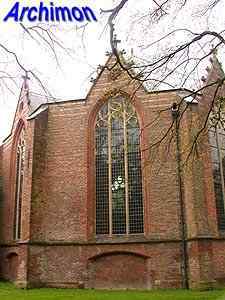 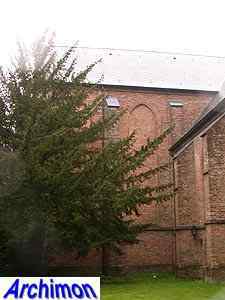 The reformed church of Ijsselstein was founded in 1309 by Gijsbrecht van Amstel, lord of Ijsselstein, as a parish church by the name of St. Nicolaas. 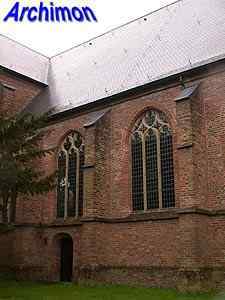 In 1397 it became a chapter church. 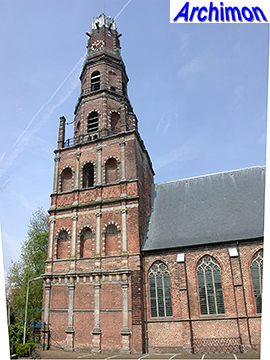 Most of the current church dates from the late-15th century and was built after 1466, when the entire town including the church was destroyed by attacking troops from Gelre. 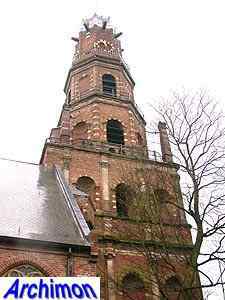 While most of the building isn't very special, both the ambulatory and the tower are quite interesting. 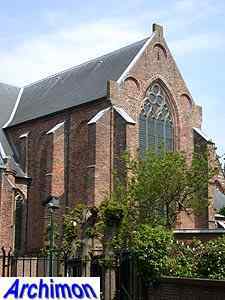 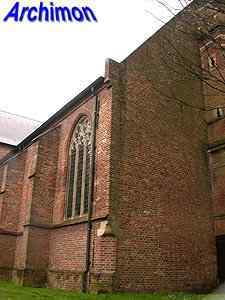 Both added to the status of the church. 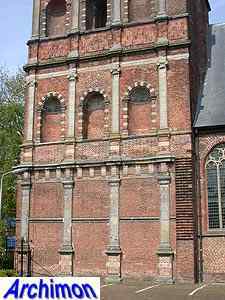 The ambulatory in its current form dates from shortly after 1500, when the existing one was widened. 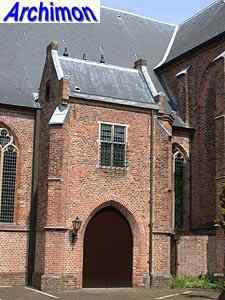 It bears similarities to the ambulatory of the St. Jan in Gouda and the Oude Kerk in Amsterdam, with each side of the ambulatory featuring a pointed gable and a tall window. 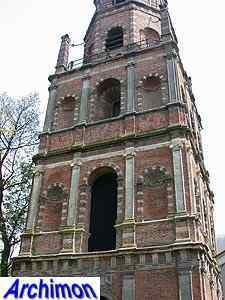 The tower is a rare example of pure Italian renaissance-style. 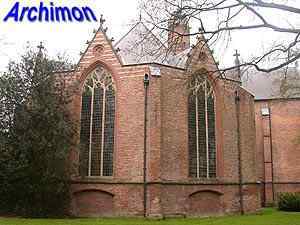 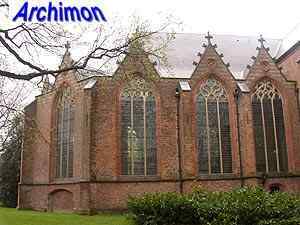 It was designed after 1530, when Italian architect Allesandro Pasqualini joined the court of the lord of Ijsselstein. 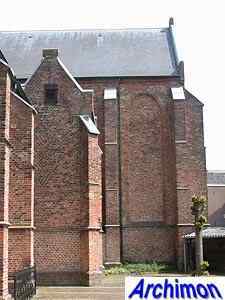 It must have been completed in 1535. 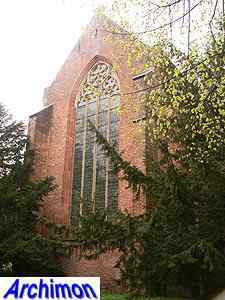 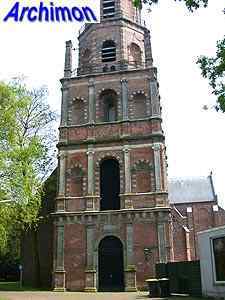 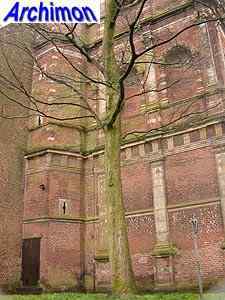 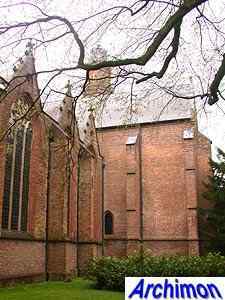 For the same master Pasqualini designed a tower segment for the church in Buren, as well as a new transept for the church of Grave. 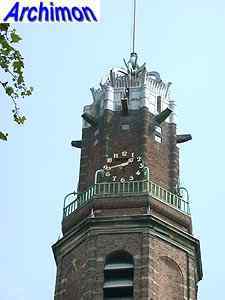 Of the tower in Ijsselstein the entire square part and the first octagonal segment are by Pasqualini. 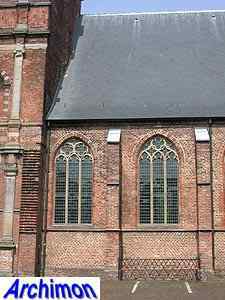 In 1568 a fire destroyed the higher parts. 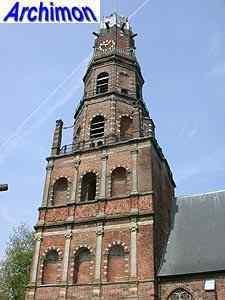 In 1633-1635 the current second octagonal part was added, designed by Adriaen van Spieringshoeck. 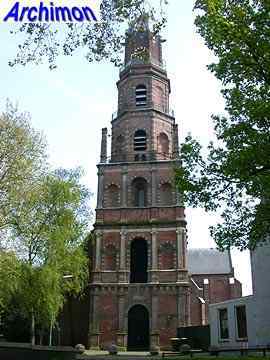 Also a new spire was added, which was destroyed by fire in 1911. 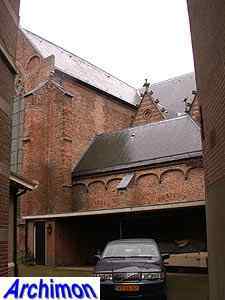 It was replaced in 1925-1928 by a new one in Expressionistic style which in 1921 had been designed by founding member of the Amsterdam School Michel de Klerk.